I’m working on a new small project, to practice my ‘cartoon’ building skills. I’m kind of new with building and I would love to recieve on how I could improve my tree. If there are any plugins I could use to help, please link it too! I think that the trunk is too straight. Even though you are building with a cartoon style, try to build off of references and adapt as you go along. For example, you’d never see a tree with exactly the same size trunk at the base and at the top, it starts thick and gets smaller. I think that your leaves are too uniform and symmetrical, they need to have an element of randomness about them just to give the tree some variation. Thanks for the feedback. I’ll work on it. 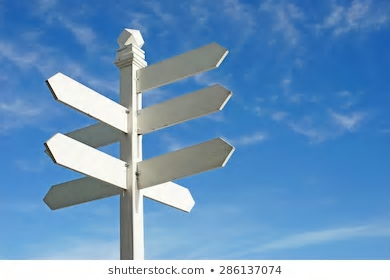 Personally to me, the leaves makes the tree look like one of those directional signs. Like RedDuck mention, try extending the width of the trunk for a more cartoon look, unless that is the aesthetic you are going for. I think you’re on a great start with the different variations of colors in your trunk! This isn’t a plugin but Blender is really good at making ‘cartoon’ like trees if you take the time to learn it. If that was made in blender…not bad! Alrighty, I’m going to close the thread! – Never mind, realized I couldn’t. Lol. Thanks for your comments & statements, I highly appreciate them, and I will definitely use these tips to re-resign. You’re on the right track, however it can be Modeled alot better. My suggestion is to bring curves to the leaves, and also bring a slight curve to the branch. Creating a tree within the program - blender, is so much easier than creating it through Roblox Studio. It’s important to stay nice and neat. 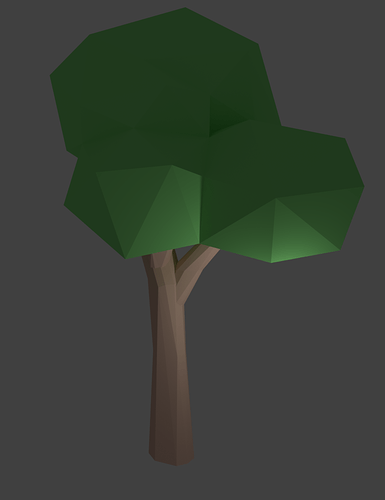 Using blender allows for flawless edges and curvature to your tree and or anything you decide to make. 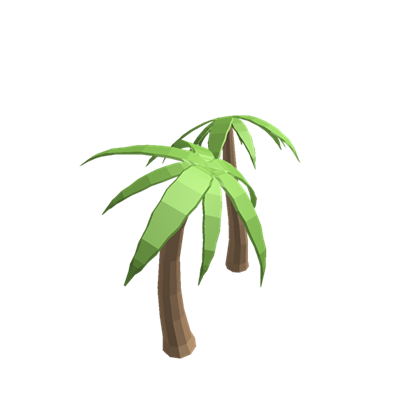 Within Roblox Studio, it really confines you to using just a block to model and shape a tree out. In your case the leaves of the tree seem to straight and the color choices can be changed a little more. There is a color picker available within Roblox Studio if you didn’t see that. Additionally, the actual tree trunk is very straight forward. If you haven’t had experience with plug-ins yet I highly suggest you give it a go. Anyways goodluck on your building ! This is the updated version, I think it looks better. I do strongly believe it’s a much more enhanced tree, but the one bunch of leaves on the right branch shown in the image is a little small. Don’t be afraid to integrate them together and have a giant multi formed bush. As well with the trunk being very squarish. 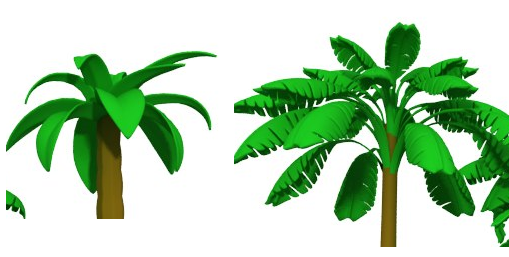 These are just some rough blender-made Low-Poly trees you can attempt at making. 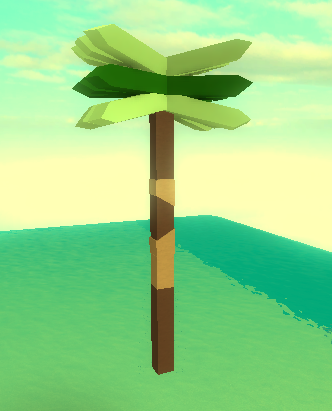 This is much better than the previous one although the trunk still looks too uniform, make it so the trunk gets smaller the higher it is, maybe move that branch up a bit and make the leaves on it bigger so it connects to the main leaves. My tip would be just imagine your environment, and what types of trees you see there. You want it to look natural enough to allow it to blend in as part of your environment, but not so natural it no longer appears like the game environment you’re going for. Maybe add in some extra branches that go in different directions, and expand the leaves a bit to give the illusion of random growth. 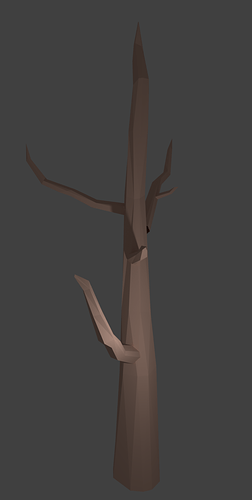 I’d suggest Blender as a modeling software for making trees, you can achieve the thicker trunk at the bottom more easily.